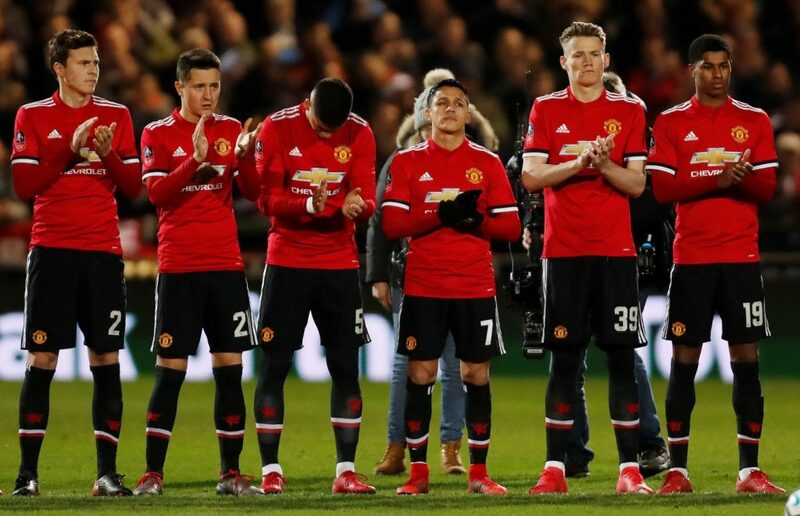 Manchester United return to face on Tuesday, April 2, Wolves, responsible for their elimination of the quarterfinals of the FA Cup. This time the game is part of the schedule of the thirty-third round of the English Championship edition 2018/2019. It will be held at Molineux Stadium in Wolverhampton, which was also the scene of the FA Cup clash. The start is scheduled for 15:45. 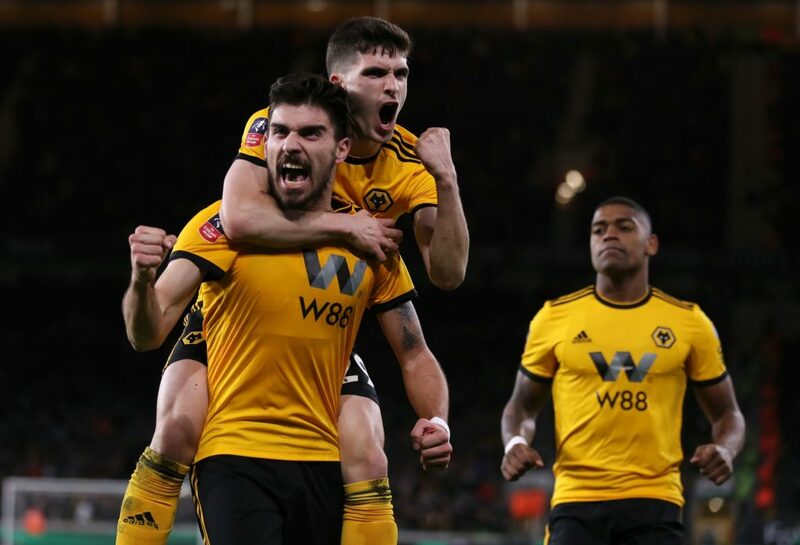 Initially the meeting was scheduled for Saturday, April 6, but was anticipated just so that Wolves could face Watford on Sunday, April 7, in the semi-finals of the FA Cup. However, the move also benefits Manchester United, who has won more free time in preparation for their home meeting with the quarter-finals of the European Champions League on 10 April. Wolves did not have a good result on the 32nd Premier League matchday. In the face of a relegation threatened Burnley, he was beaten 2-0 away on Saturday, March 30, and was then parked in the 44 points (12 wins, eight draws and 11 losses).He managed to keep seventh in the standings of the English Premier League, but won the Leicester side, which reached the same score. It appears, however, in the eighth position when the criteria of tie-breaker are taken into account. Everton (43), Watford (43) and West Ham (42) are also in contention for the stand, which could lead to the 2019/2020 Europa League version.However, for that, it is necessary that Manchester City win the FA Cup, which would make the spot in the tournament in the international tournament was moved to the English Championship. Wolves, of course, prefers to win the FA Cup by placing a trophy in their gallery and counting their place in the Europa League as a ‘bonus’.For this, the anticipation of the game brings an extra benefit. Defender Ryan Benett (28 matches in the 2018/2019 English League, one goal) will be suspended for the yellow card and will be free to face Watford on Sunday. In England, suspensions are paid regardless of the competition. If there was no duel for the Premier League on the ‘road’, he would be out of the duel of the FA Cup.As principal, Wolves has lower performance numbers. It is the tenth in this issue in the English Championship. Of the 45 points that played in his stadium, won 24 (seven wins, three draws and five losses) having scored 22 goals and suffered 19. There are two significant differences between the duel in which Wolves eliminated United from the FA Cup and the Premier League game on Tuesday. The duel for the FA Cup was held before the first date that FIFA (International Football Federation) reserved for matches between teams and the reds came in their sequence of games in the media and weekends that led to a high frequency in the medical department. Now, with recovery time and recovered players, they have more options of escalations.The other is in relation to his coach, the Norwegian Ole Gunnar Solskjaer. In the previous game he was still in the position as interim and was expected to leave at the end of the season. Now it has been announced as contract coach for the next three seasons. He made his debut in this condition on Saturday, March 30 at Old Tradfford, with a 2-1 victory over Watford. She led United to 61 points (18 wins, seven draws and six losses) on the Premier League table.The team is struggling with Tottenham, Arsenal and Chelsea for the remaining two spots for the 2019/2020 Champions League, as Liverpool and Manchester City have certainly won two of the Premier League places for the most important club competition in the Old Continent.However, just as with Wolves, United really desires to win the current edition of the Champions League and have the place next season as a title defense.Matteo Darmian (five games in the 2018/2019 version of the English League without a goal) and Antonio Valencia (five games without a goal) for the duel of this Tuesday, the medical losses are due to defenders Matteo Darmian; and striker Alexis Sanchez (17 games, one goal). 1. Statistical data to be taken into account before playing Wolverhampton vs Manchester United betting tips! He was impressed this season and we are in the seventh place in the Premier League. He comes after a defeat, the last round on the modest Burnley field (0-2); did not show anything then. There is still a force on his own, where he does not lose seven games, regardless of the competition. He even won six of those games. He has one of the most solid defenses in the league. We are in fourth place in the Premier League; beats for the Champions League positions. The last stage was hard at home with Watford (2-1). He lost one match in the last 14 games in the championship. He has even won six of the previous seven away games in the Premier League. 2. Latest information before Wolverhampton vs Manchester United! No significant issues are reported. Anthony Martial was injured last round and remains uncertain. Victor Lindelof also missed Watford, but there are chances to be recovered. 3. Wolverhampton vs Manchester United likely teams! Wolverhampton (3-4-3): Rui Patricio; Boly, Coady, Saiss, Doherty, Neves, Moutinho, Jonny; Helder Costa, Jimenez, Jota. 4. Wolverhampton vs Manchester United latest last meeting info! They even faced last month in the English Cup; Wolves then won (2-1). In the only match in this championship I saw a draw (1-1) on Old Trafford. With more technical resources available than the first match, Manchester United makes the prognosis in their success the best option for Tuesday’s meeting with Wolves for the thirty-third round of the 2018/2019 English Premier League. I foresee a difficult game for “devils” here and I even go on a goal scored by the host team. We have already shown above how well Wolves did at home, where he won six of the last seven games played. Note that the hosts scored in each of the previous seven games played on their own ground. United draws; took a shot at each of the previous six matches, regardless of the competition. Let’s not forget that these bands met last month and Wolverhampton scored twice.